This was made for a friend going through a rough patch. Gorgeous day here, is spring on the way? I did some decorating for it today - took down the snowmen and substituted some cute bunnies, seed packets, etc. 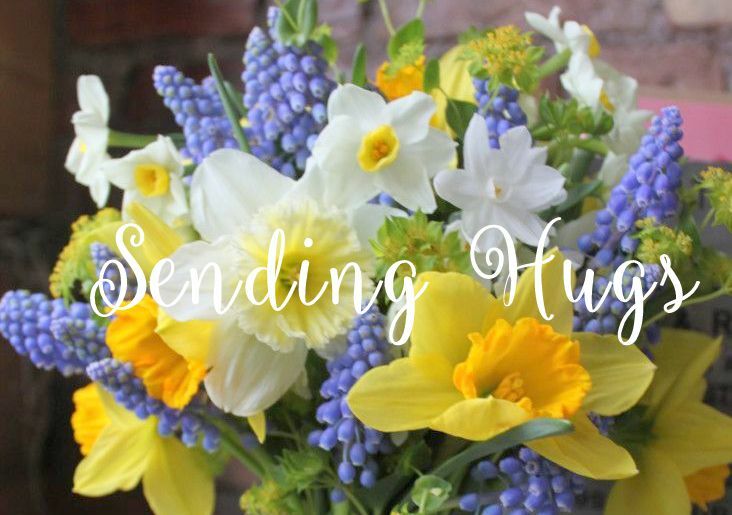 Didn't go quite all the way spring when I changed my blog header today, though......it's kind of a transitional one for this time of year, where we can have spring one day and snow flurries the next! How's the weather in your neck of the woods? It's been pretty quiet around here the last week; we've been at my Mom's. I thought I'd fill the void with a share of some cards I sent awhile back for the Lasting Hearts Card Drive. I decided to make a series of cards in pinks and blues, using the same ingredients, just changing up the colors and embellishments, and keeping them as flat as I could. Here are a few of them. I used the same supplies as above, but colored the big background stamp first with watercolor markers (Tombow/Memento) before stamping. Same supplies again, only I stamped the background using Simon's White pigment ink on Hero Arts Carnation layering paper, and added some Altenew Painted Flowers embossed in white on vellum, coloring only the leaves from behind. I also wanted to send a warm welcome to my newest follower, Kimberley. Thank you! Thanks for visiting today; I hope I'll be back in the swing of things again soon. In the meantime, I plan to get outside and enjoy the close-to-60-degree temps we're supposed to have today! Happy Wednesday! 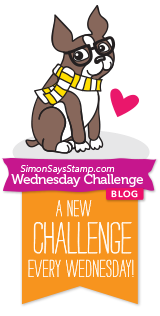 It's time for another challenge over at the Simon Says Stamp Wednesday blog! It's Anything Goes week! 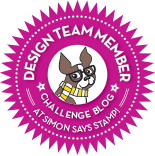 The team were generously gifted with some Memory Box products for this challenge, and that's what we'll all be highlighting today, but you can use any product and any theme you'd like! for my husband! I decided I wanted to do a masculine version of this plaid, and since he's been taking such good care of our birds outside this winter, I chose a sweet bird as the centerpiece. After stamping it and coloring it in, I pulled the same colors out to make my plaid background. The spongings around the stamped image weren't originally planned, but when I colored in my berries, and then later picked up that panel, they smudged, so I added more smudging with some distress inks. 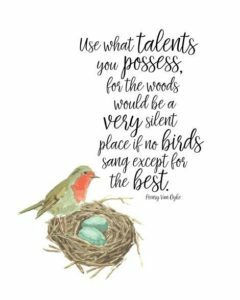 Here's a card I made for Winnie & Walter's 2nd Birthday Celebration, And it fits in 2 of the challenges: Mayuri's Inlaid Die Cutting challenge, and stretching it a bit, Vanessa's Rainbow challenge. I started with a panel of cardstock sized to the front of my card, and die-cut the Stitched Rectangle from it. Then I inserted it back in place, and positioned and die-cut the large flower and the Happy sentiment. I removed all the diecuts and embossed what was left (the frame) in an embossing folder, then reinserted everything back together, minus the flower and Happy sentiment. Those were cut again using patterned papers, then inlaid into the card front. The leaves (which are also inlaid die-cuts) were tucked under the flower before gluing it in place. I built up my flower with 2 smaller layers, centered with a brad and popped above the surface, and then stamped and added the remainder of the little words for my sentiment. I set out to make this just a happy colorful card with lots of pattern, but then realized that it might qualify for the Rainbow challenge; I have red, orange, green, blue, and violet, and got my yellow in with that brad! I love those teensy bunny stamps and die, perfect to make fun shakers like this! There are actually 3 sizes of bunnies, both solid and outline, all with matching dies! 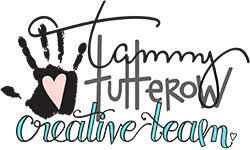 And the bonus in this kit is a random Tim Holtz Distress crayon! I got one in Mermaid Lagoon! 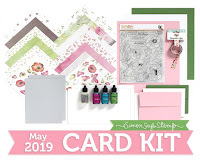 As always, don't wait too long to order this kit if it's calling your name! I stamped, inked and fussy-cut my flowers and sprigs, and then glued them to my card, which had been overstamped with the script partially wiped away first. The card was also sponged lightly with the same shaded lilac distress ink. Too much of a good thing? Hope she likes it? Thanks, as always, for stopping by! It's about time I made a card using My Favorite Things Beautiful Blooms. When I saw this week's MFT Sketch challenge, it gave me a place to start. 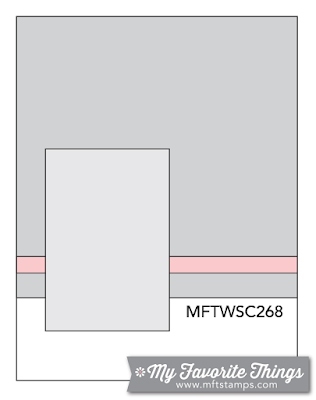 And while I was at it, I checked the colors at MFT's Color Challenge, and decided to make a Christmas card using them! I used a large, medium, and small stripe to stamp my pattern, then overstamped across the widest stripes with a stitch stamp in white ink. I trimmed out my panel and cut out a tiny line of hearts under the sentiment to kind of underscore it - you have to look hard to see it, though. That flower has been sitting on my work surface for awhile, and the colors worked perfectly, so it got popped on for some dimension. I highly recommend this Stripes set - it really has everything you need to make your own custom plaid! Thanks for coming by! 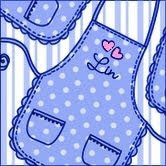 Also, many thanks to my newest followers, Lady Editor and Sue! 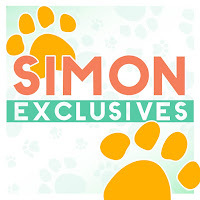 Simon's New Release: Reason to Smile! I can't wait to see what others are doing with this! 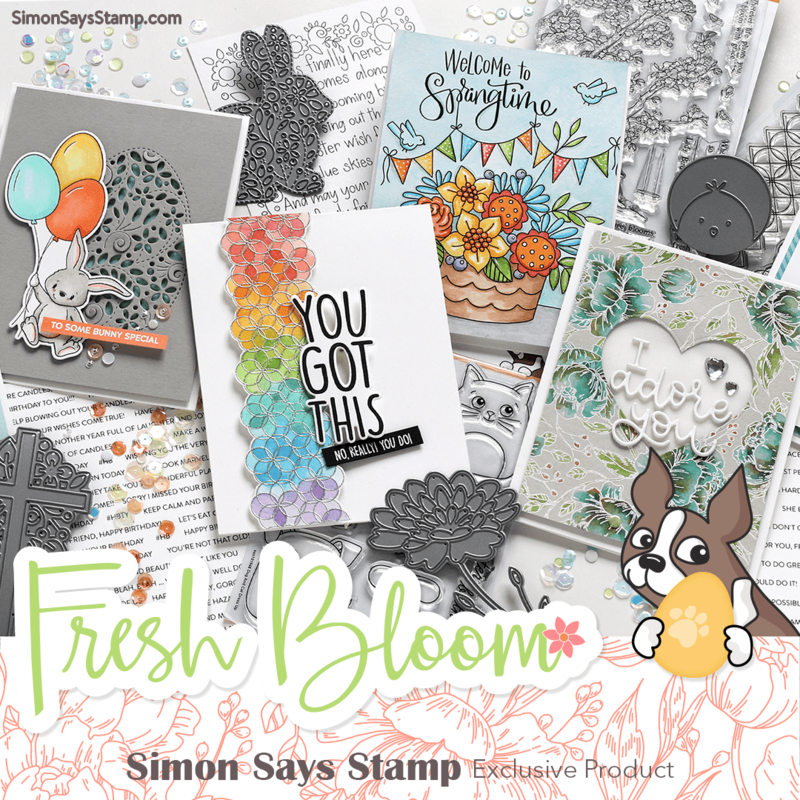 Be sure to visit Simon Says Stamp store today to see all the other new things being released! This week our theme is "Shake it Up!" and my teamies and I are playing with products from We R Memory Keepers. I chose a set of ephemera from their Hello Darling collection and made 2 shaker cards. My next card is much flatter: I sewed around 3 sides of a folded vellum piece, inserted my sequins, then closed up the top of the shaker with more stitching. 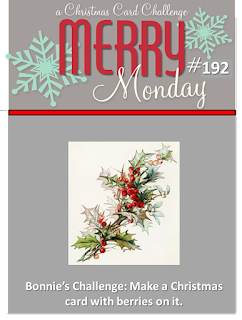 I was so pleased to see our challenge at Merry Monday this week, because I could break out this new stamp set that I won recently and give it its maiden voyage! The theme this week is "berries"! This makes me think of a wreath on an old red barn! My friend Carol and I got together last week, and she shared these stamped flower images with me. With snow flying here soon after, they were begging to be used, and so I made a card for 2 challenges celebrating Winnie & Walter's 2nd Birthday Bash. Doesn't this remind you of a seed packet? My photo doesn't show it very well, but the yellow flower is stamped on the white panel, the orange one is secured only in the center, and I popped the pink one up. This works for Kelly's Over the Edge Challenge, and also for Lydia's Floral Challenge. And another new follower! Welcome, Gretta - so pleased that you stopped by! ....and one last PTI challenge! 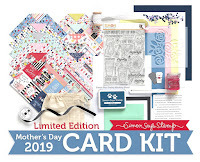 Today's challenge at Papertrey Ink is a fun one - they have given us a Paper Crafting Alphabet, and we're to choose at least 3 letters from our (first or last) name, and take those requirements and make a card! My Papertrey product is their Simple Sunflower stamp set. To make my card, I masked off the sentiment area on an angle, then stamped my sunflowers on the top and bottom of my panel, using Ranger Lemon Twist, Simon JellyBean, and VersaFine Onyx Black inks. I also did my dry embossing selectively, avoiding that center strip. The panel was then attached to a black card, and I added some black strips along the sentiment strip before stamping my unused "Hey" and cutting and attaching the Sunshine die. Thanks for coming by on this frigid Valentine's Day - hope by now you are nice and cozy! And Happy 9th Birthday, Papertrey Ink - your celebrations all week have been lots of fun! Happy Valentine's Day, friends! Hope you get to spend your day with someone special, be it your honey, your kids, or a good friend! It took me awhile to get this Heart of Roses die......it sold out several times before I was able to get it into my shopping cart! For today's first card, I cut it out of carnation, green apple, and white, and then pieced the roses and leaves back into the frame. 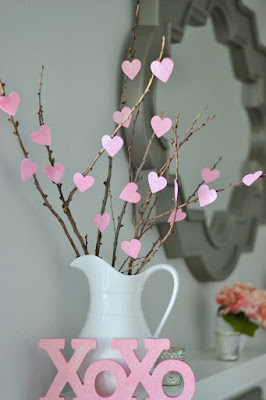 This also works for the challenge at The Die Cut Divas. It's the weekend again already! Time flies when you're retired! 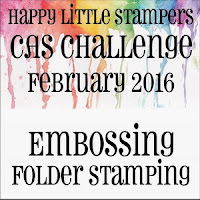 I inked the embossing folder with distress inks, spritzed with water, and pressed gently to "stamp" the image. That was trimmed using an Audrey's Cutaways scalloped frame, and then I decided to run it through the same embossing folder, to bring out some of the smaller details. The cardinals always look so brilliant against the white snow at this time of year - so glad I have this little guy to play with, for now, and for the rest of the year, too! This works for 4 challenges: Winnie & Walter's Create Your Own Background with Gayatri and the Two Challenge with Shay (I used 2 stamp sets), the sketch at CAS(E) this Sketch, and I got the idea for this background after seeing the Happy Little Stampers challenge: Embossing Folder Stamping. 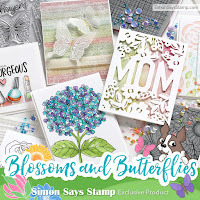 I loved the new releases earlier this week at PTI, in particular, the new Tulip Time stamps and dies shown to us on Wednesday. So I pulled out one of my favorite PTI stamps from their Spring Jar fillers, and made a card. I was inspired by Dawn to color them in shades of aqua, after seeing her coloring her peonies that way. PTI is also introducing new stencils this time around, so I added a stencilled background to my bouquet. My card is for the Create Along with Us challenge, and it also works for one of Winnie &Walter's Birthday challenges: Lydia's Floral Challenge. 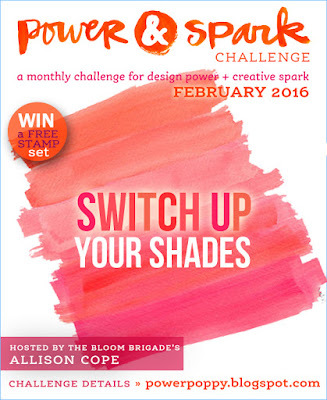 You should check out the gallery for some very innovative ideas for this challenge! First I want to give a warm welcome to my newest follower, Rina! During this time of Blogger's ruthless cutting away of our followers, it is wonderful to see a new face! Thank you, Rina! 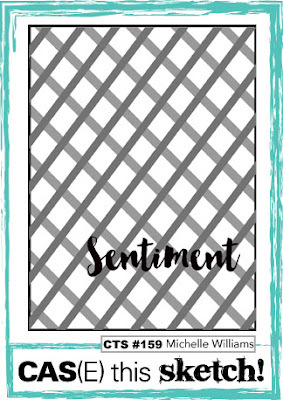 Because this image is so large, I previewed several die-cut sentiments for it. I chose this one because it is relatively delicate and doesn't cover up my work!